Under the influence of J.G. Vos, Karl Hubenthal graduated from Geneva College in 1967 and began his journey toward the Orthodox Presbyterian Church. Sensing a call to the ministry at a young age, Karl attended Covenant Theological Seminary until 1969, when he enlisted in the US Army. During his two-year military stint in Panama, Karl, on this day in 1971, married Rheta May, whom he had met at Covenant. At the time, Rheta was studying Biblical archaeology with the goal of working in the Mid-East. Karl graduated with a master of divinity from Reformed Presbyterian Theological Seminary in 1975 and accepted a call to Knox Orthodox Presbyterian Church in Lansdowne, Pennsylvania. Ordained by the Presbytery of Philadelphia on June 18, 1976, Karl served as pastor until 1990. While there, Rheta raised their five children and volunteered as a birth coach with Alpha Pregnancy Services, even delivering a baby! The church gave Karl a sabbatical from 1983 to 1984. He studied at the Theologische Hogeschool in Holland, where the Hubenthals learned to communicate in Dutch. In 1990, Karl answered a call to become an OPC missionary serving the Dutch-speaking people in Suriname, the former Dutch Guiana in northeast South America. 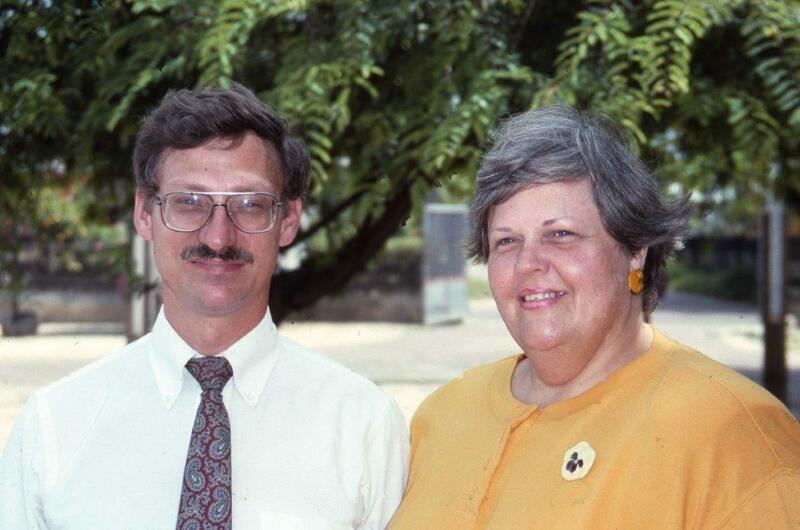 OPC missionaries Ralph and Joan English had opened the mission work in 1988 by ministering to a congregation of English-speaking refugees from Guyana, formerly British Guiana. The Presbytery of New York and New England provided full financial backing for their service. Karl, Rheta, and their five children moved to Suriname in 1990 to serve the Dutch-speaking congregation called Reformatie Kerk, to former leper patients at the Esther Hof, and to evangelize an Arawak Indian tribe. In 2002, Karl reported to the 69th General Assembly that they would no longer be able to serve in Suriname because of Rheta’s health. In retirement, the Hubenthals live in the Harrisville, PA area.